The housing problem is one of the most painful questions for residents of Russia, not only for Moscow and St. Petersburg, but also for those living in the regions. To buy an apartment in the mortgage, not everyone can inherit is sometimes nothing, and accumulate just impossible... Some lucky ones manage to resolve their housing problem through housing lotteries. What you need to do to win in such a lottery? The housing lottery is a draw, the main prize of which is the apartment or several apartments simultaneously. There are two types of lottery - permanent and promotional. Regular lotteries are held regularly, with the prize draw may occur on the TV or instantly. If you seriously intend to win the apartment in the housing lottery, you'd better opt for the lottery with a television prank. The winnings in these lotteries are larger, and the probability of fraud is less. One of the largest housing lotteries in Russia is the "Golden keyIK, it is held by InterLATA". This lottery was launched back in 1997, during its existence, the Russians became the owners of more than 700 apartments. In order to win in the lottery read lottery coupon. 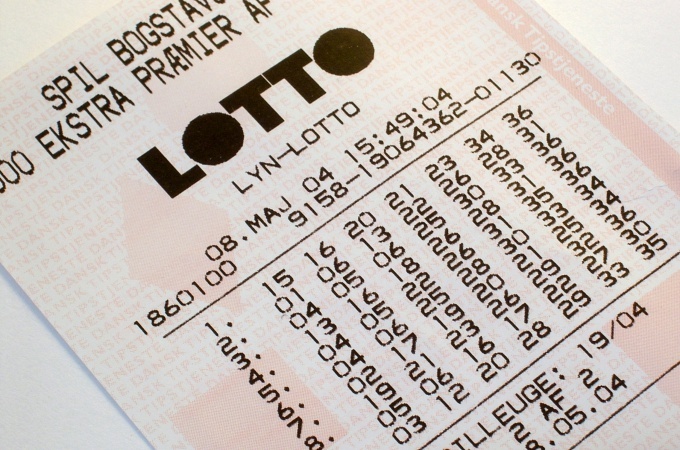 According to the law on lotteries 2003, the coupon must include the name of the authority issuing the permit for conducting a raffle, permit number and date of issue, the time frame of the lottery, the algorithm for determining the winner and received prizes. 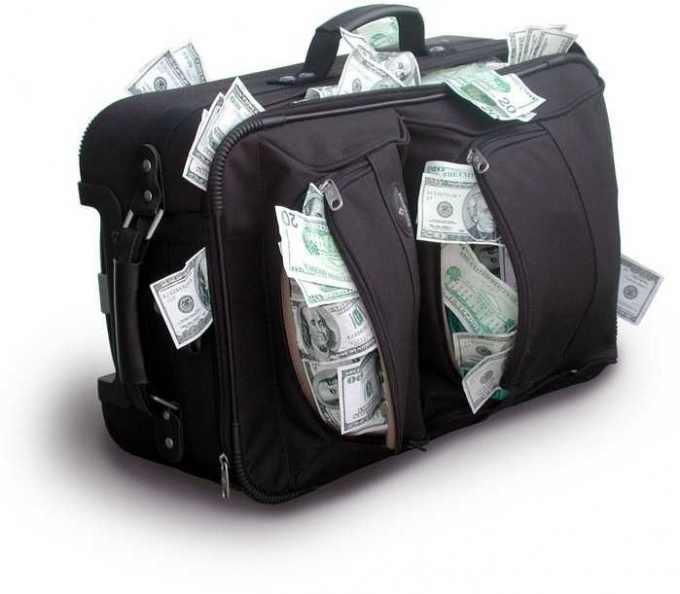 With regard to advertising of lotteries, they are aimed at the promotion of a product. The organizers of these drawings are very actively advertise their lotteries, by drawing attention to the product. However, experts warn that in promotional lotteries are often played out "empty" prizes or prizes get "their" people. Before you participate in this lottery, be sure to read the process of its implementation, with the order of definition of the winner and time of the drawing. If the organizers do not provide participants with detailed information about the drawing, it is likely that your winning chances it is equal to zero. The chances of winning in the housing lottery increase during the Raffles. For example, instead of one apartment in a holiday print runs can be played with several apartments simultaneously. Also pretty good, in terms of the winnings of the lottery are conducted on the election day and public holidays. Remember, if you are lucky enough to win an apartment in the housing lottery, you will have to compulsorily pay tax on the winnings. The amount of tax in the classic lottery is 13% and promotional increases of up to 35%. In the case of non-payment of tax you can judge for concealment of income and apply on your win huge fines. The state housing lottery (GIL) is the first in the Russian market, the housing lottery, with the state status. It is designed specifically for those who need their own housing. Every participant of the edition has a chance to win one of three apartments. Or all three at once. And then, maybe the fourth! In "State housing lottery" " draws three apartments — one, two and three! Also there is a special draw, which will be played extra — fourth — house. At the moment there are many lotteries that offer to all comers to win quite a large sum of money. The winnings in these lotteries, as a rule, is formed by the sum of all funds spent on the tickets lottery. Everyone has a chance, but will win only one. And the probability of winning is quite small. Often, the organizers of the lottery have resorted to the formation of the jackpot, which increases each time no one manages to guess all the piles of the Lotto numbers. The most popular lottery in our country is an instant lottery from Sberbank of Russia, reliability and reputation which suggests that to win money you will pay in any case. To win the lottery, go to your nearest store or supermarket and buy a ticket. It specify the numbers that you think will fall out of the Lotto. Check lottery on the weekend, when, as a rule, carried out the draw. This time sit near the TV and watch the balls drop down, the more numbers you guess, the bigger your winnings. In the case of a big win go to a Bank and take their money. Do not be upset and worry if the first time you can't win. Continue to test your luck every weekend and sooner or later you all the same luck, and you will earn quite a large sum of money. If you want to significantly increase the probability of winning, explore different systems and strategies that will allow you on a scientific basis to determine what numbers will fall this time. Perform special exercises for the development of intuition. You can train her to such an extent that during the selection of numbers inner voice will tell you the correct combination. Carefully and accurately fill out a ticket as if you win it will be the only proof that the happy owner of a huge amount of money is you. 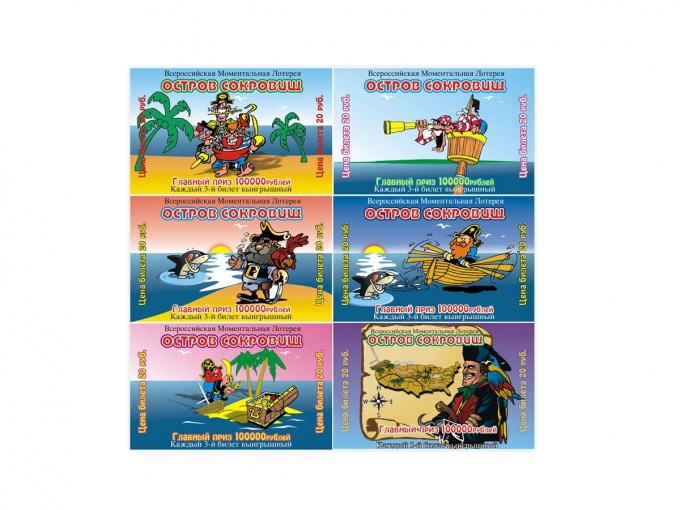 The popularity of scratch cards from Sberbank provoked the emergence of many different lotteries from other banks. Participate only in those lotteries over the years have proven to be, and certainly will pay you some money if you win. At this time the most popular and proven time lotteries, in addition to drawing from savings, are the "Golden key", "Bingo" and "Interlot". Keep your winning ticket from a third-party eye and scams that can covet your financial savings. The use of the pendulum, or plumb — a kind of so-called dowsing, or dowsing, in which involuntary micro movements of the muscles of the hands in her subject matter, whilegiving him the apparent motion. Since some schools of thoughts consider dowsing a way to access intuitive knowledge and abilities of man, with the help of a pendulum you can try, withmeasures to win the lottery. — a small sinker weight 20-30 grams, which can be hung on a thread. 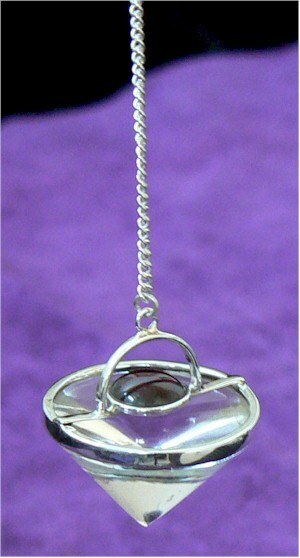 Make a pendulum by hanging a load on a thread. The length of the thread, select it so that you could sit at the table, keep the hand atabout eye level, and sinker when it would not touch the table top. Tune in to the upcoming work. Any equipment on interaction with the subconscious and intuition require special status. You must be absolutely calm, relaxed, to maintain passivity in relation to what is happening. Any strong emotions or expectations may influence the results obtained. Determine what motion of the pendulum will be considered as answers to the questions. The pendulum can swing left-right, forward-backward, in a circle clockwise and circle counter-clockwise. So there are four choices of movement. Program a selected option. He picked up a plumb line, set your mind and mentally or out loud say, "Swing of the pendulum (call your chosen method) will indicate a positive response." To consolidate subconscious Association ask the pendulum a few questions, a positive answer to which you known. Onwiththe action: "Call me Alex Petrov? ", "If I studied in high school? ".Don't try to rock the plumb deliberately. Just keep a relaxed hand and watch the movement of the sinker. Invisible shrink your muscles caused by the subconscious will make the pendulum swing as you defined. Obviously, for instant lotteries, where you must select a card and scratch the protective layer, the pendulum will not help. It is simply impossible to carry and hold on each ticket. However, in those embodiments where it is required to know in advance the numbers that will be selected during the draw, whento run to the aid of intuition. By purchasing a lottery ticket, put it on the Desk. If the cells with numbers small in size, make an enlarged copy and work with it. At any time you need to be able to say exactly what cage is my weight. He picked up the pendulum, identify the question: "Let the pendulum will give a positive answer on those numbers, which will fall during the season." Focus on it.Slowly move the hand with the pendulum over the table. Try to move carefully so the plumb Bob began to swing by inertia. Watch what cells the weight inchildren in the movement corresponding to the programmed version. Attention! This method, like any other, not give an absolute guarantee of winning the lottery. It only allows you to use your subconscious mind when choosing options. You always want to earn more money than work. In the media from time to time received sensational reports about how another lucky guy won a million. Of course, I want to repeat his achievement. But is it possible? Many people buy lottery tickets in hopes of winning a big jackpot. Is it worth doing? Is there some kind of system allows to increase the probability of winning? No. There is no such system, a large prize in a lottery can only be accidental. And only in case the integrity of the lottery organizers. However, if the organizers of the fair, the probability of winning is low, even if you buy a thousand tickets each draw throughout life. There is nothing wrong if a person buys a couple of tickets once a month or a year, if it doesn't take a lot of money and does not cause dependence on the lottery. Win possible but the probability is negligible. Slot machines were the craze of the Russians in the early to mid-two-thousand years, until their use was restricted by law. But now they can be found in designated areas, and illegal guns sometimes fall outside of these places. Also in abundance is found virtual gambling in the Internet. Many people have fallen into dependence on gambling. There were cases of sale of flats and subsequent poverty. Is it worth it? It is known that the machines are programmed to make a profit. This means that not only plays against low probability, but the program is designed to prevent to take too much. As for virtual machines, in Russia, by the way, is forbidden, they do not give money. Playing in such a machine, the user simply spend a nested sum, however, it is interesting spending time. The last time there was such "wiring": in you email Inbox, a letter arrives from some "hacker" who has learned how to cheat slot machines. And it offers you this information for a ridiculous amount. It is not necessary to trust such a well-wisher. He'll just take the money instead of not giving anything of value. You need to take into account the following: if this person really was the right way to win, he wouldn't have to beg on the Internet and took have and rich. Often on television show, in which people receive expensive prizes, having arrived and answering any questions or simply call. Is it real? Not in all cases. A show money on the fact that people call them and try to become parties. It is likely to spend big money there and not hitting. The other show is clearly staged, and some do not provide for any remuneration for participation. For example, a show where the host asks viewers a simple question, and promises a lot of money to the first person to call and answer correctly. Such transfer recorded in advance. It is a leading a couple of hours begs the audience to call, from time to time in the Studio supposedly call and answer incorrectly. In fact, if the call to this show, callers put as if in a turn, and while he waits with the phone balance deducted a lot of money. Relatively honest ways of obtaining money from the population since the time of Ostap Bender, became much more. To list them all, you will have to write a bulky volume. However, it is possible to draw a conclusion from already given examples: to get through the excitement of a big amount, it is necessary to open your own casino or a lottery. All other ways of losing.